Warrior Mother: Are You Willing to Go To Jail To Get Your Kids a Better Education? Kelly Williams-Bolar is a hero in my book. She refused to let her circumstances dictate her children's future. I know a lot of people are going to complain about the fact that she broke the law and used taxpayers money to send her kids to school for free, but I say to hell with those people. Kelly's father pays school taxes and he doesn't have children in school so technical he was paying for his grandkids to attend. So exactly how was the school system being defrauded? Kelly is a Warrior Mother and she was looking out for the best interests of her children. A lotof times we complain about the fact that people are not taking more of an interest in their children's education, but her we have a woman who was willing to risk her freedom in order to ensure her children's future. How many of us can say we would do that? 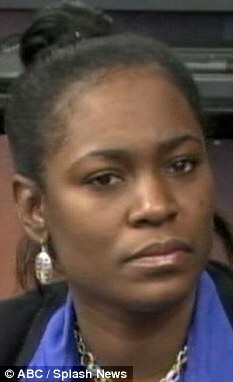 This woman should never have been locked up and the fact that she was is a huge miscarriage of justice in my opinion. Parents should not be forced to send their children to schools that they feel are unsafe. People like Kelly Williams-Bolar are not the problem. It's the system that's the problem and more of us need to take a stand and say enough is enough. Are you willing to go to jail to get your kids a better education?